Trees are being killed for this! There are people starving and you can't eat your dinner? Ha-ha-ha! This happens to me all the time. 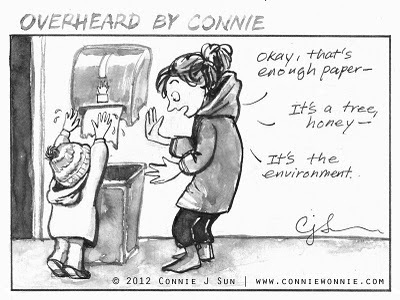 It drives me crazy that my daughter seems to think she needs 3 paper towels for her little 3-year-old hands.